Proper eye protection is ‘must-have’ gear for shooting sports. In addition to providing reliable impact protection, good shooting glasses should be comfortable, fog-free, and not interfere with your preferred hearing protection. Those who require corrective lenses also need to consider the various options available. In a past episode of their Weekly Gear Review, the 6.5 Guys discuss a variety of shooting glasses they have tried, including examples from DeCot, Oakley, and Wiley-X. Ed and Steve outline the key considerations when choosing eye protection, and then review practical aspects of eyewear design and construction that enhance comfort and functionality in the field. 1. 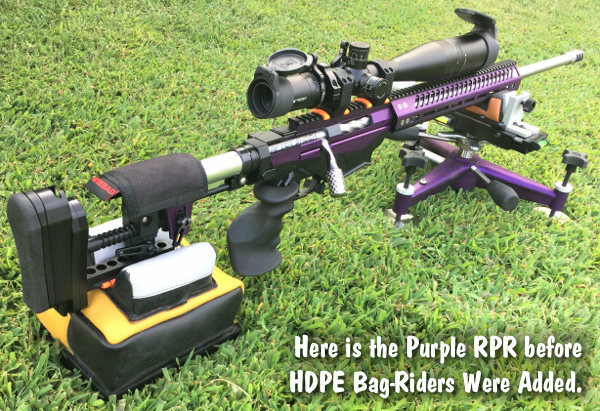 Avoid polarized lenses or lenses that reduce light transmission significantly (except for action shooting in very bright conditions with large, close targets). 2. 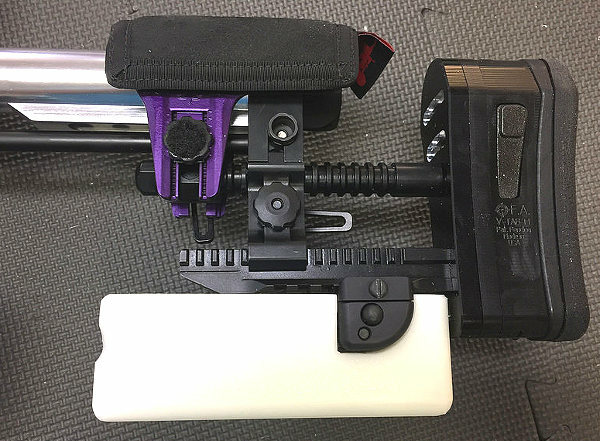 Avoid frame designs that interfere with prone shooting. 3. Avoid designs that easily fog. 4. 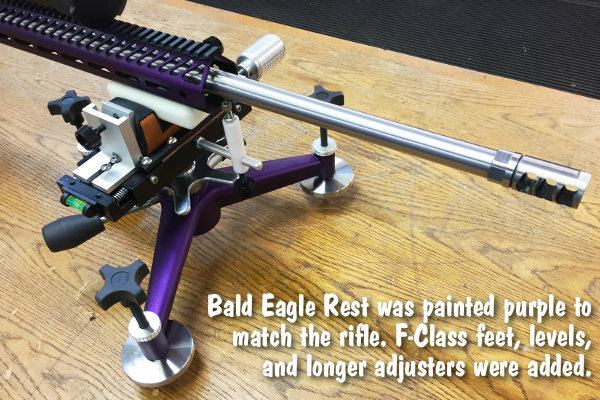 Avoid frame designs with thicker temples that are uncomfortable to wear underneath hearing protection. 5. 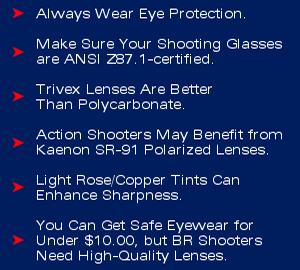 Select lenses with an appropriate degree of ballistic protection. CLICK HERE to learn more about eyewear safety standards. 6. When you get your prescription, be sure your ophthalmologist includes the interpupillary distance. This is a critical measurement particularly for heavier prescriptions. 7. If you have a complicated prescription select a vendor who will actually spend time with you to address any concerns. 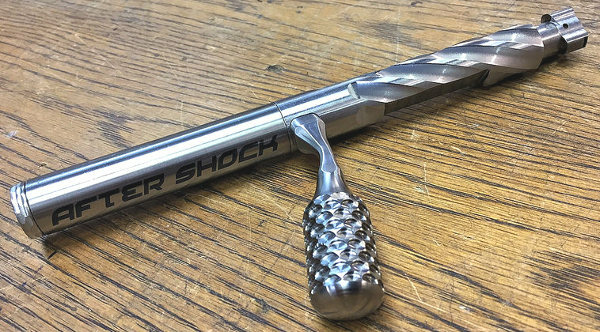 Accurate shooting begins and ends with the human eye. Your career as a marksman could be cut short if you don’t use good eye protection every time you go to the range and/or handle a firearm. Every year, 1,000,000 people suffer serious eye injuries. Shooting is hazardous; it is estimated that there are 30,000 firearms-related eye injuries each year (if you include paintball sports.) After paintball, general hunting accidents comprise most firearms-related eye injuries. If you select shooting glasses carefully, and ensure that your eyewear is safety-certified, inexpensive shooting glasses can perform very well. But you need to avoid cheap, soft-plastic lenses that claim “impact resistance” without satisfying a testing standard. 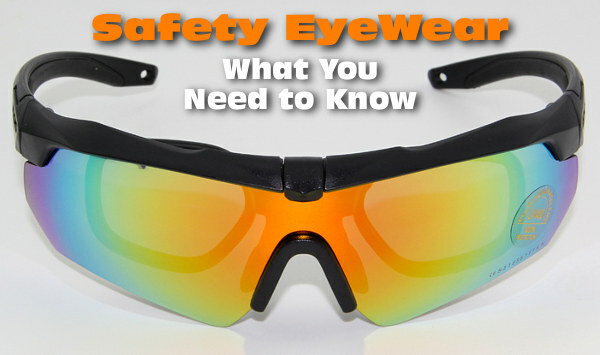 For more comprehensive information on safety eyewear, read the AccurateShooter’s Guide to Eye Protection for Shooters. Share the post "How to Choose Protective Eyewear — Factors to Consider"
There a number of good rebate programs going on right now, but many of them conclude at the end of October. To take advantage of these deals you’ll need to start your shopping. 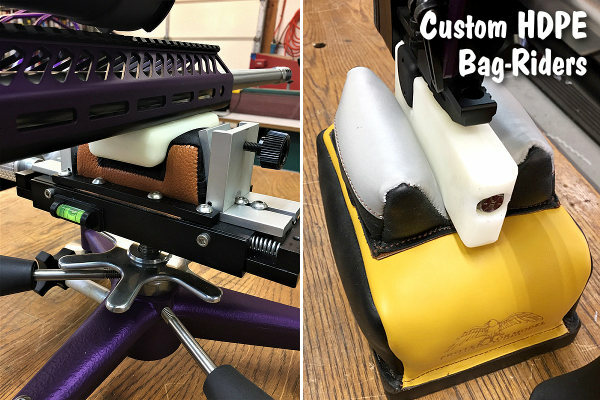 Here’s are some current Rebate Programs for ammunition, loading equipment, and shooting accessories. 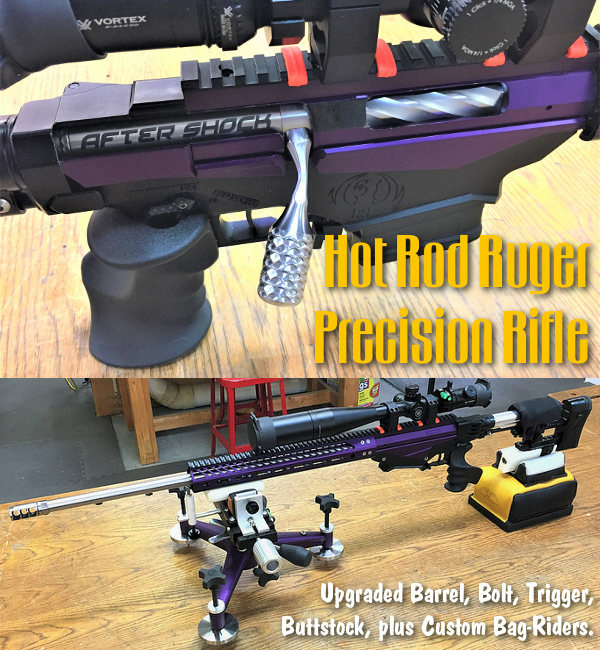 Share the post "Rebate Central — Good Deals for Gun Guys"